We are off to a great start. 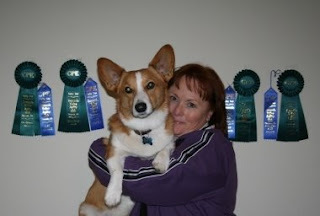 This was my first AKC agility trial. I had two qualifing runs and two 1st place.. WOO HOO!! My great pics from the Saturday and Sunday. 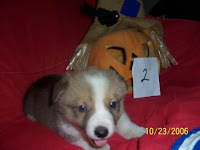 This is me when I was a baby. Wow I had a big head. 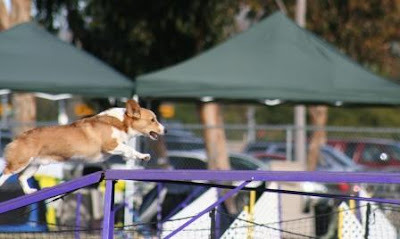 Since then I have worked very hard to learn agility. When I was nine months old I tried herding sheep. That was my instinct test. I passed, with flying colors. 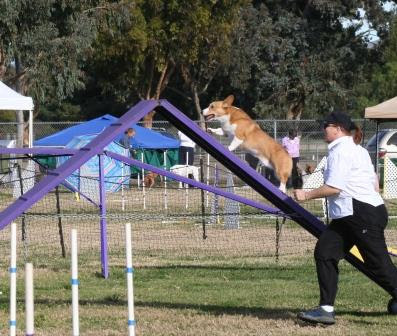 I learned how to do a dog walk on this baby version my dad made me. 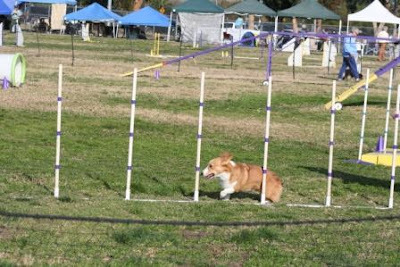 After two years of training I finally went to my first agility trial. We had a great time. 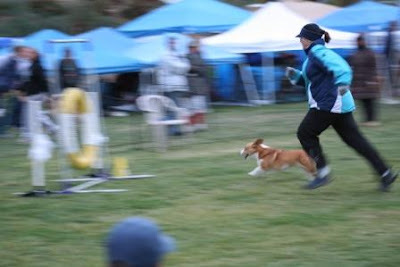 I had 6 runs at this trial and on 4 of them I qualified.. YEAH! 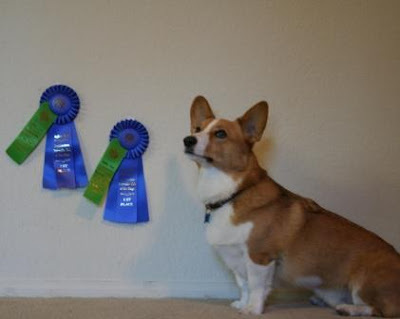 And on all four I took first place. Yep thats right.. four blues for me. My dad was so proud, he wants to be my manager now.